To Be a World-Class University in Science and Technology. The CDLMAUTECH is an open distance learning centre that aims to, among others:&nbsp;Provide unlimited access to large number of students through the ODL mode. The Nigerian national policy on education recognizes the place of open and distance learning that affirms life long education as the basis of the nation's education. Education is generally accepted as an indispensable tool for national development because of the skilled manpower it provides to all critical sectors of the economy and national life. 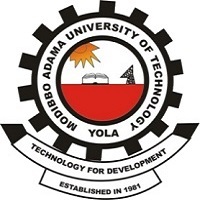 Center for Distance Learning, Modibbo Adama University of Technology, Yola, Learning Management System (CDLMAUTECH LMS)is a platform for e-Learning.